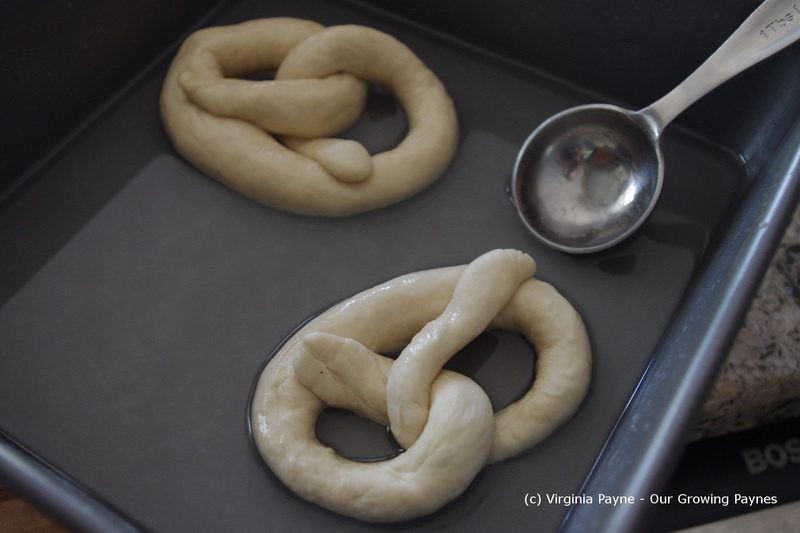 Don’t Get Your Knickers in a Twist, the Pretzels are Easy! 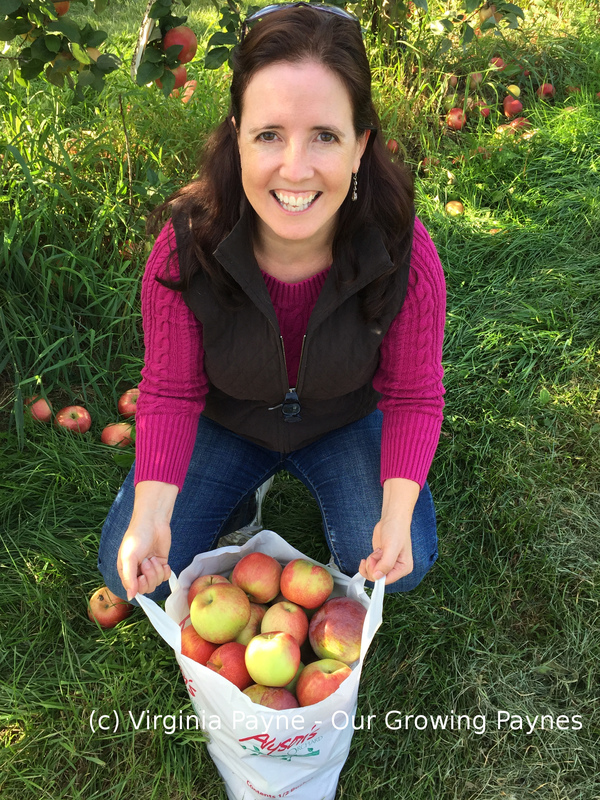 You know those recipes that you always wanted to try but put it off because you think it would be complicated? For me, pretzels were one of those. Don’t know why, must have been a mental block. Because these are so easy to make! In fact we’re having them again today. 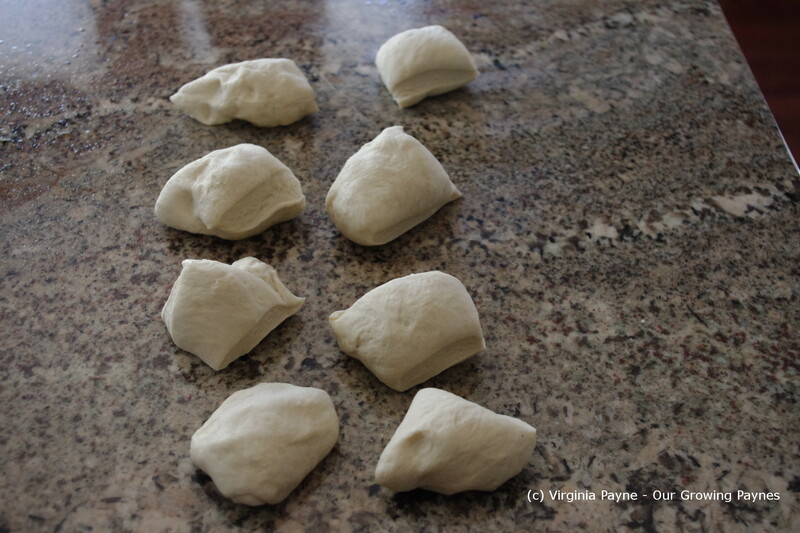 My daughter made the last batch which freed me up to take loads of photos for this post. 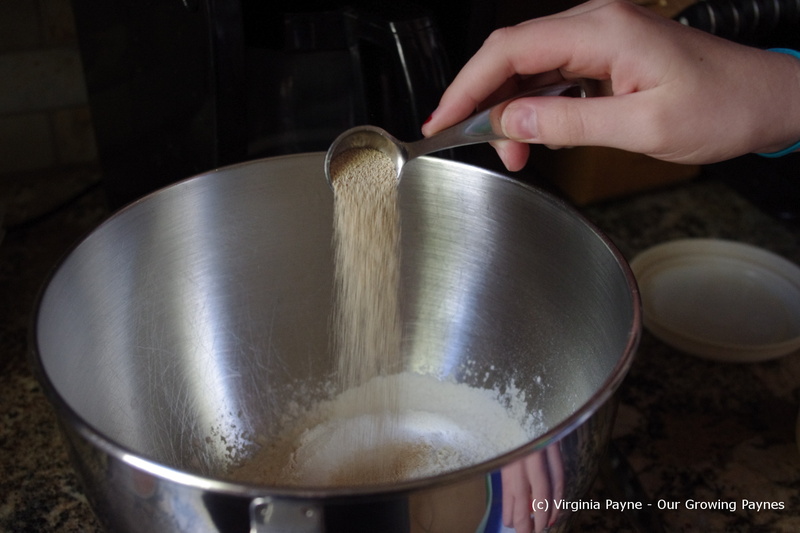 My husband found this recipe on the King Arthur site and we didn’t change anything. They call their recipe Hot Buttered Soft Pretzels. And they are so good! 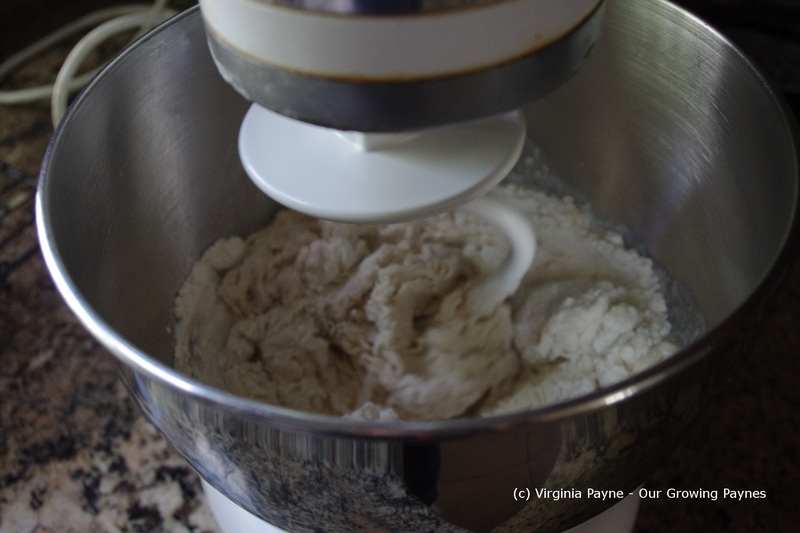 We use our Kitchen Aid mixer for this and in the mixing bowl we put 2 2/12 cups flour, 1 tsp salt, 1 tsp sugar, 2 1/4 tsp yeast. 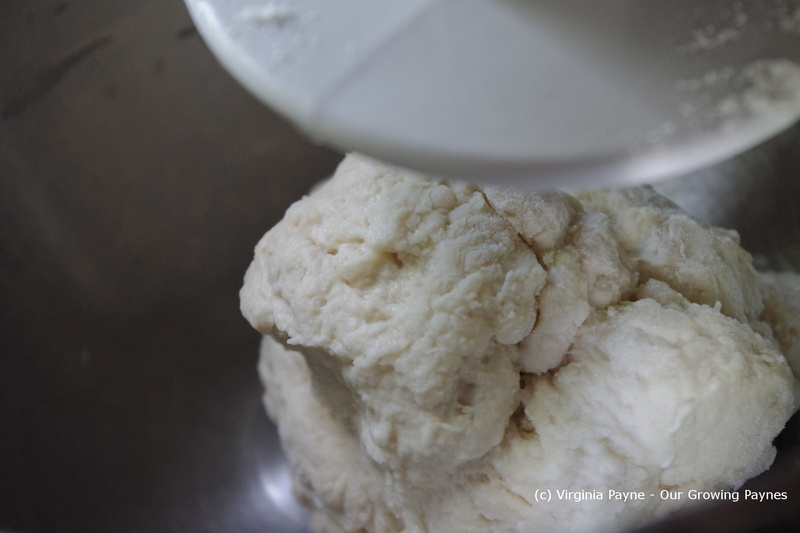 Depending on how dry your flour is and time of year will depend on how much water you use. The recipe calls for 7/8 to a cup of warm water. Start with 7/8 cup first and add as needed. 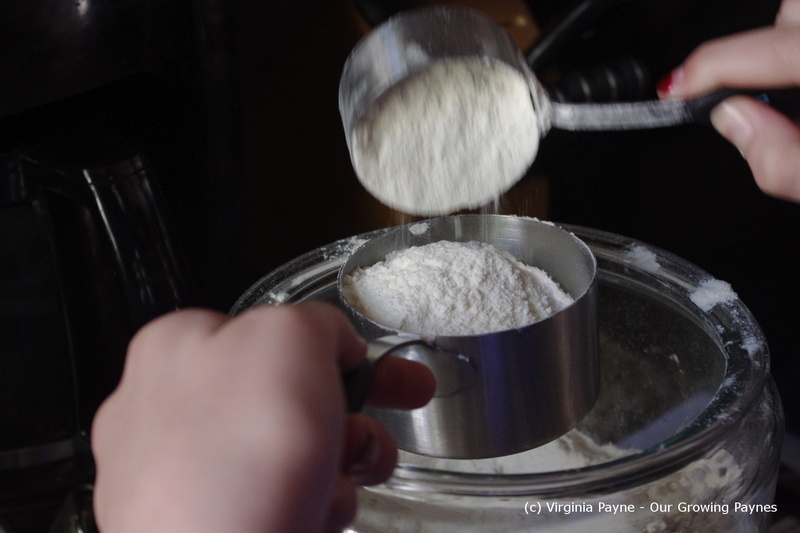 Add that to the flour mixture and mix for about 5 minutes to bring the dough together. 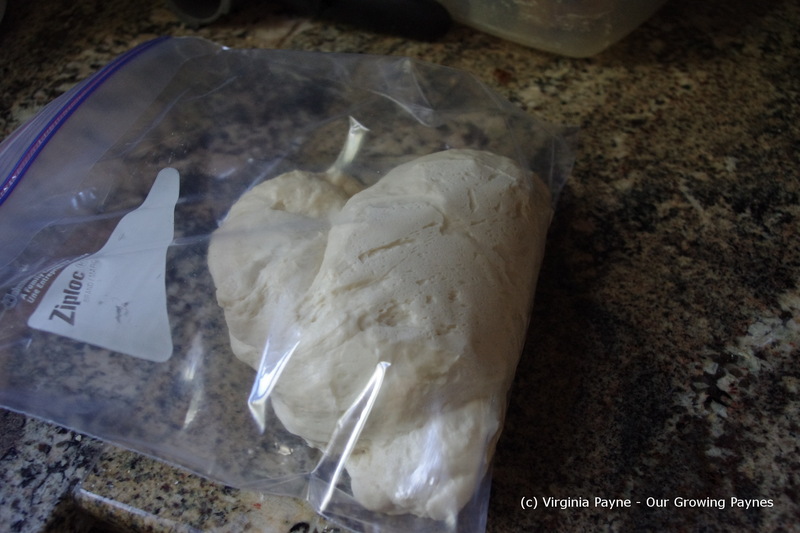 Once it is smooth store it for 30 minutes in a ziploc bag. I would recommend spraying the inside with a bit of oil. We didn’t and it was a bit much to get out! Ah well, live and learn. In the meantime prep the solution that you soak the pretzels in. 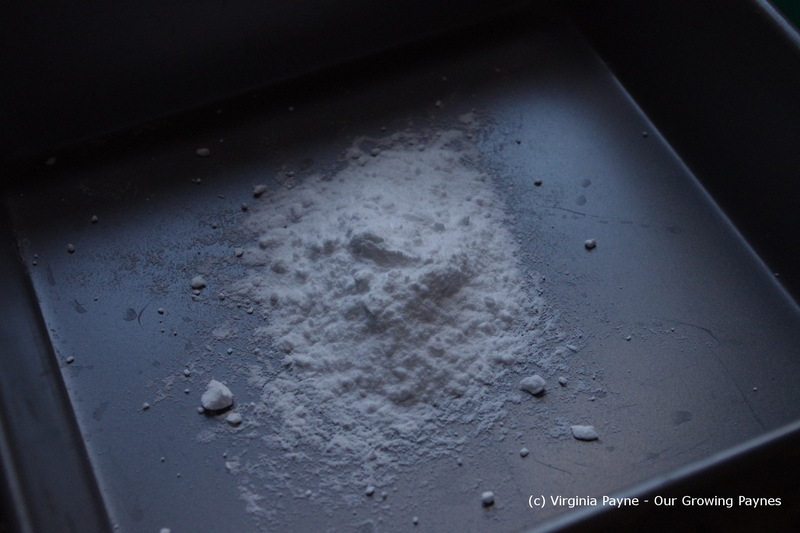 In a pan, 9 x 9 works, place in 2 tablespoons of baking soda and then dissolve in a cup of boiling water. 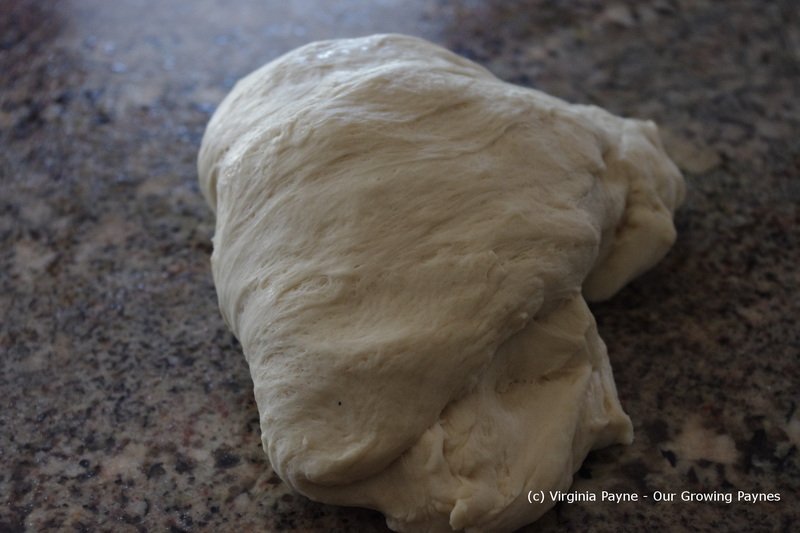 Once the dough has rested turn it out on a greased surface. Divide it into 8 equal pieces. These need to rest uncovered for about 5 minutes. In the meantime preheat the oven to 475F/250C. Here comes the fun part with the kids. Any shape goes! Though we stuck more traditional this time round. 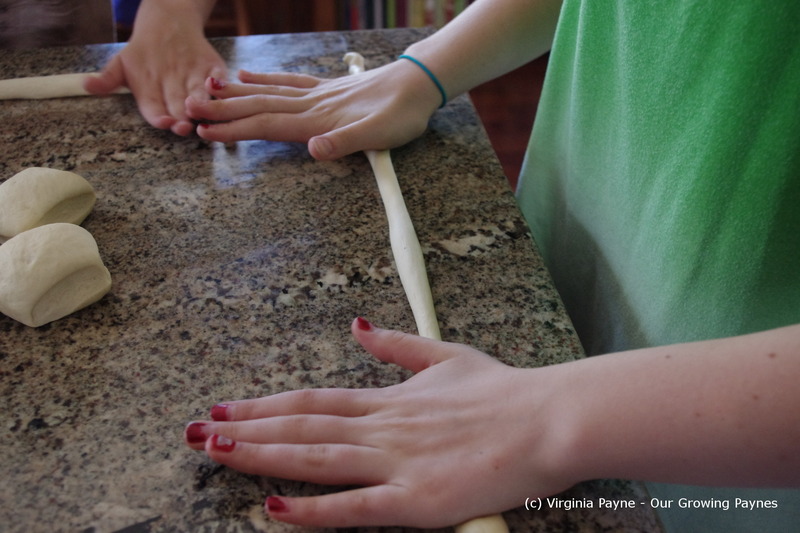 Take each piece and roll it between the counter and hands to make a thin rope. 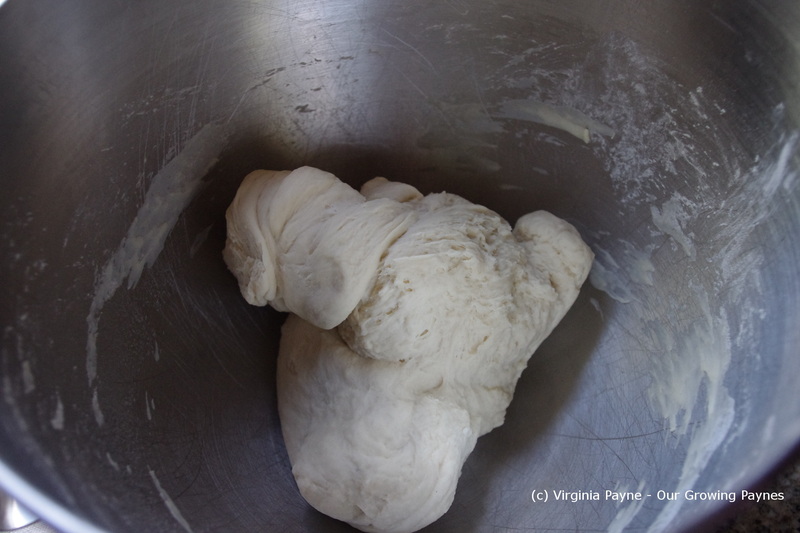 Shape it and then place it in the baking soda solution for 2 minutes. Spoon the liquid over the pretzel. 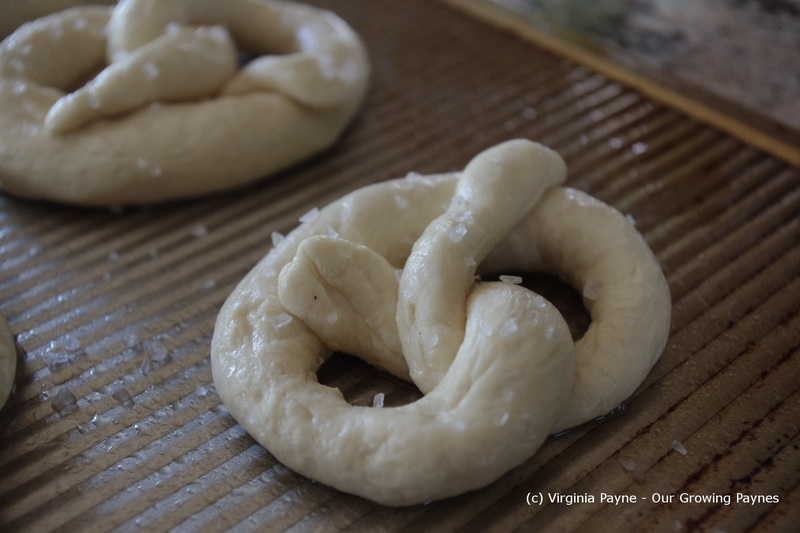 Place on a greased baking pan and sprinkle with kosher or sea salt. Let rest uncovered for about 10 minutes. Bake for 8 or 9 minutes until a lovely golden brown. While baking melt 3 tablespoons of butter. Seems like a lot but trust me you’ll use it all. Right when the pretzels come out of the oven brush the butter onto them until the butter is finished. 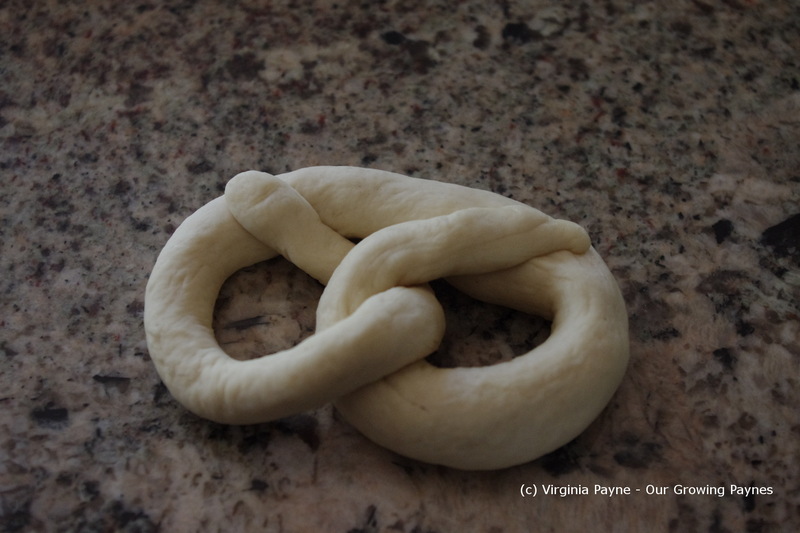 This entry was posted in Baking and tagged baking, butter, food, homemade, homemade pretzels, pretzels. Bookmark the permalink. They do look fun and easy. And delicious! Thanks, just tried mine with a sweet chili sauce. Delish! If I’d known how easy this was I would have been hooked long ago! 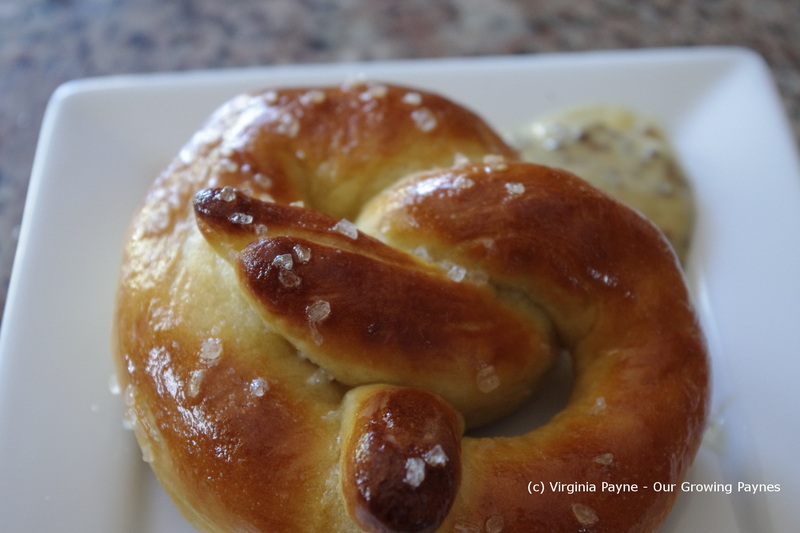 Pretzels have been on my must make list for ages. These look fantastic and your daughter did a great job. Thanks for the incentive to give ’em a try.